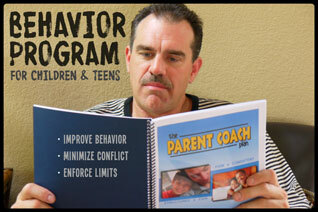 Complete Parenting Solutions has partnered with TeenBehaviorContracts.com to bring you an exclusive package of downloadable behavior management tools specifically designed for use with teens. 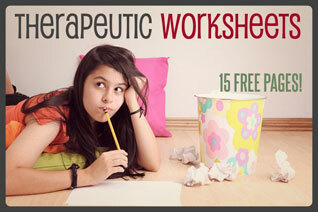 The package includes a set of TEN teen-specific behavior contracts, a teen discipline program, and an original set of printable parenting tools - including a daily teen journal, a moods/needs chart, a teen behavior rating scale, and much more! Need a teen driving contract? We have one! 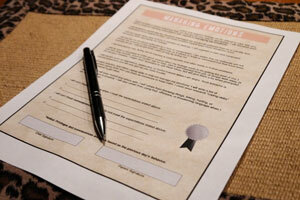 Need a substance use contract? Look no further! 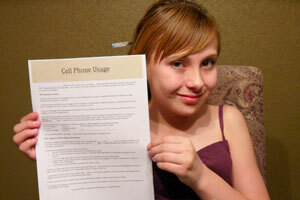 Need a cell phone contract? You’re only a few clicks away! If you have a defiant teen or a teen with behavior problems, then this is one set of tools you&apos;ll want in your parenting toolbox! 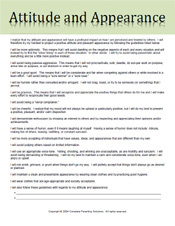 Did you know that teen behavior contracts are an effective way to establish structure, consistency, and fairness with regards to behavior management? 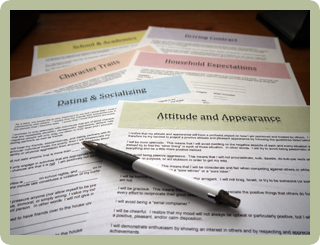 Behavior contracts also provide clear expectations while teaching teens valuable lessons such as self discipline, responsibility, and accountability. As difficult as defiant teens can be to discipline, there are no doubt a variety of strategies that can work to improve behavior…some more effectively than others. A behavior contract, for instance, can make an amazingly quick impact on a teen that might otherwise be used to getting his or her way all the time. 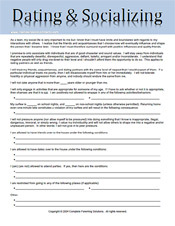 Instead of having to tiptoe around a difficult teen, parents can use a teen behavior contract to take charge and gain compliance from their once defiant teen. Common teen problems often revolve around issues such as dating, driving, negative attitude, cell phone usage, substance use, and problems at school. 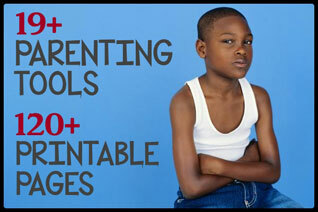 The behavior contracts available at TeenBehaviorContracts.com address all of these issues, plus more! 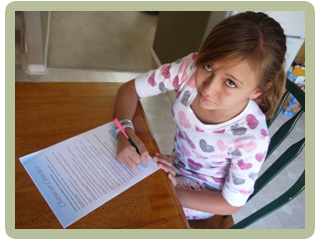 There’s no need for parents to rack their brains trying to come up with the terms and conditions of a yet-to-be-written behavior contract… these are already prewritten and ready for immediate download! The process is simple and very cost effective. 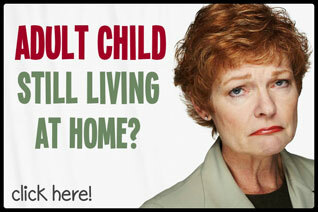 If you are a parent in need of help with your teen&apos;s negative behavior, then click the banner below to visit our partner’s site. 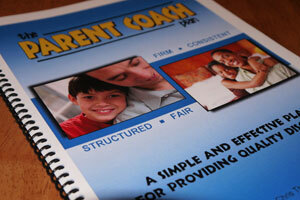 You’ll find an excellent set of teen-related parenting tools all packaged together in one easy and affordable download! It’s simple, it’s effective, and it’s only a click away! 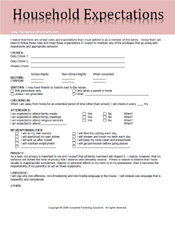 Want to learn more about our teen behavior contracts package? Click here! Teen behavior problems can sometimes be serious and may require the help of a mental health professional. If your teen is experiencing severe mood swings, depression, or suicidal ideation or if he/she is acting out aggressively, engaging in high risk behaviors, and/or abusing substances, then it is important to involve a mental health professional in any decisions that might be made. Never hesitate to seek help from the police if it becomes necessary (especially if your teen becomes a danger to himself or others).